"The location is great and the room is clean." 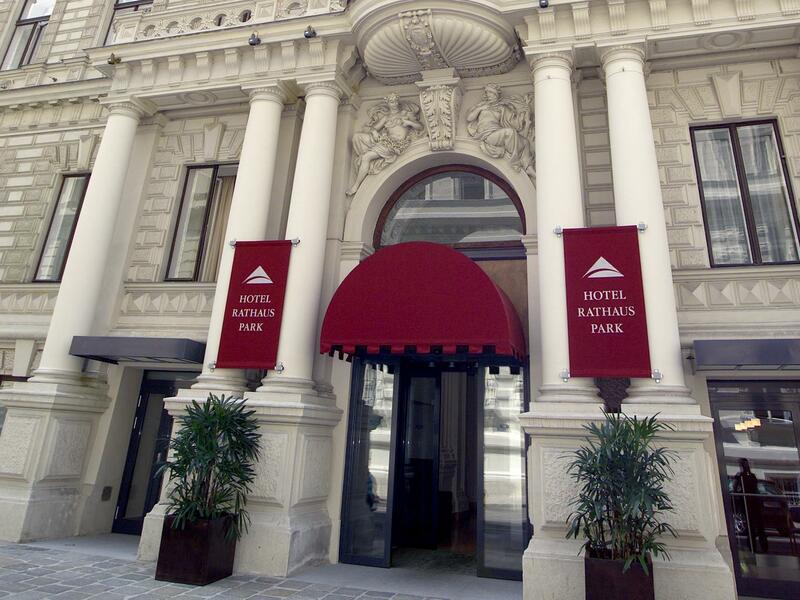 Have a question for Austria Trend Hotel Rathauspark Wien? 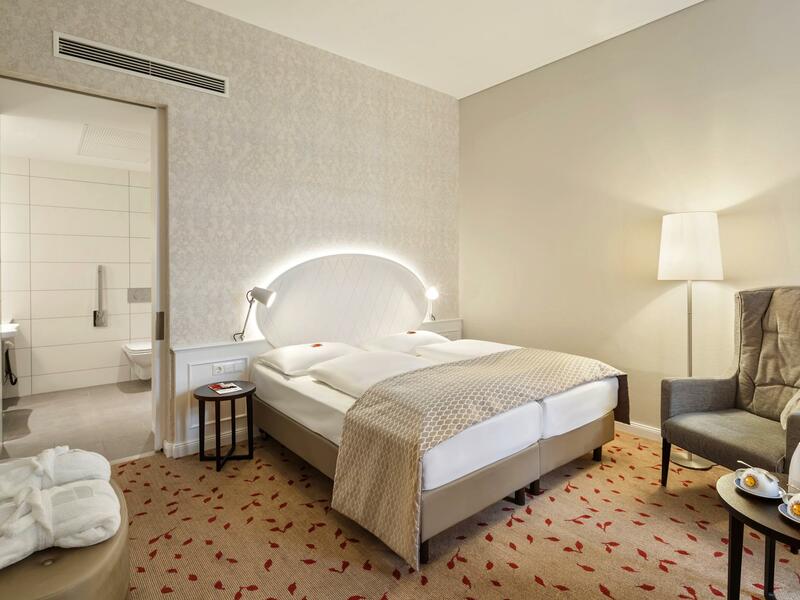 Austria Trend Hotel Rathauspark Wien is a grand, Renaissance-styled hotel with a rich history, right in the heart of Vienna. 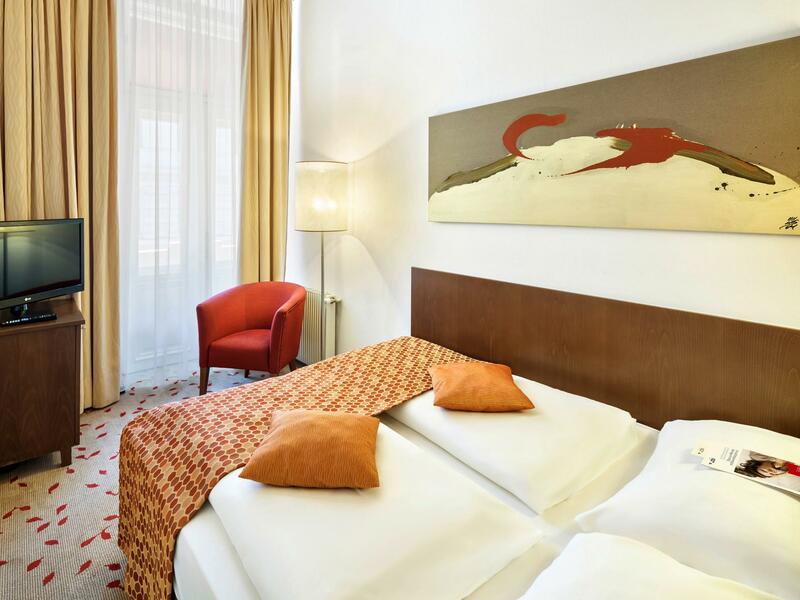 The original late 19th century house has undergone a loving conversion into a modern minimalist hotel which seamlessly blends the influence of the past with the needs of travelers. Large and light rooms have stylish neutral touches and pale wood furnishings with amenities including internet access, air conditioning, and satellite TV. A delicious fresh breakfast is served daily in the dining room, complete with walls adorned with folk art and cabinets full of Viennese artifacts. 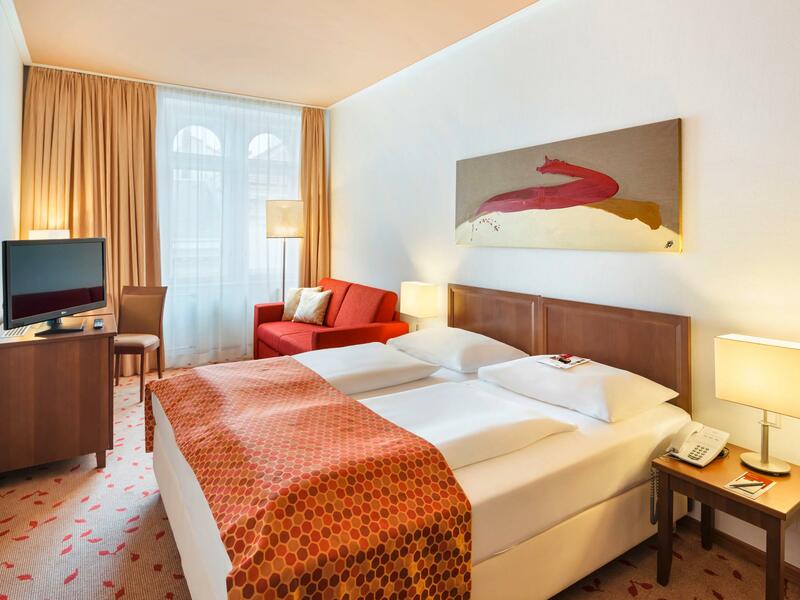 Please enter your preferred dates of stay and submit our online booking form to make a reservation at Austria Trend Hotel Rathauspark Wien. "Good hotel, walking distance to most places." Great hotel. Room was comfortable and very clean with a super bathroom. We arrived early and were able to get into our room well before check in time. Definitely worth paying for the breakfast option as the breakfast buffet is fantastic and set us up for the day. Staff were helpful and friendly but not intrusive. 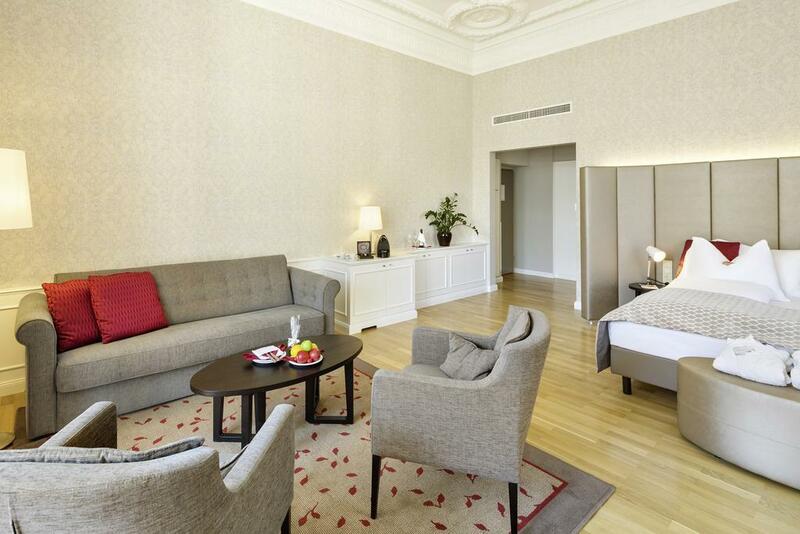 Location was great - 5 minutes walk to most of the sights and in a quiet, smart location. We would happily stay here again. Silent and good quality bed they have. But there is no kettle (10€ for a night), so mid-long term travelers feel something inconvenience. Clients have to carry thier luggage up and down . No bell boy. Room was very smal .without facilites- (no complementary water or coffee kettle )no lobby .it deserve 1 * no more .. Breakfast very basic .no many options .. The location is great and the room is clean. But the staff is not friendly..
Hotel is clean. They provide complimentary Apples in the lobby. Staff lacks enthusiasm. Needs to smile and greet/ acknowledge clients when they step in or out. Good for location, breakfast is not so good. we had a nice time in Vienna. Good hotel, walking distance to most places. Got what I wanted. No frills stay. The staff was always smiling. Room was very cleaned and comfort. Lastly, the hotel was always house kept to make sure we could rest good. I was enjoyed staying there. We just stayed there for one night, but it was perfect for christmas shopping. Its old architecture, the lifts and the views. I requested a early morning wake up call as I had a flight, I never received the call and was subsequently late for my flight, therefore I had to book another flight and incurr more costs. This also meant that I had to rearrange my diary for the day as my flight was not untill 21.05 hours in the evening. I asked reception if it was possible to have a late check out, I was told that I could however I would have to pay I asked to speak with a manager and was told that no one was available. The customer service was very poor. overall a very good hotel. We were unfortunately greeted with heat wave in Vienna and the room does not have aircon. the hotel is nice enough to prepare a little fan for us. Clean room, comfortable bath room. definitely recommend this place during colder days.